Christmas is without a doubt the best time of year to inject some sparkle into your everyday outfits. Whether it's with statement jewellery, cute jumpers, or even socks, if it's festive, it's perfect! New Look really got it right this year in the festive accessory department! I picked up some adorable socks because let's be honest, you can never have too many pairs - mine always seem to go missing! 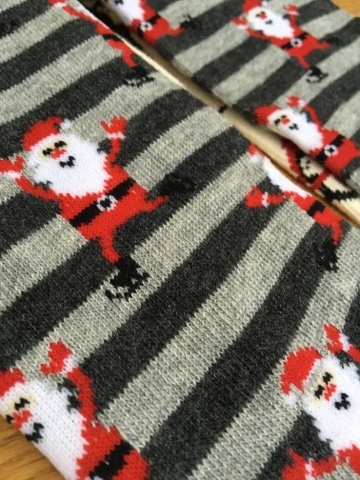 The Santa socks were my personal favourite as they're really quirky and cute! And even though they'll be hidden under my shoes, I can still admire them! My favourite purchase was actually the two lovely sets of earrings. New Look are always my go to when it comes to earrings as they're never short of cute and affordable sets! 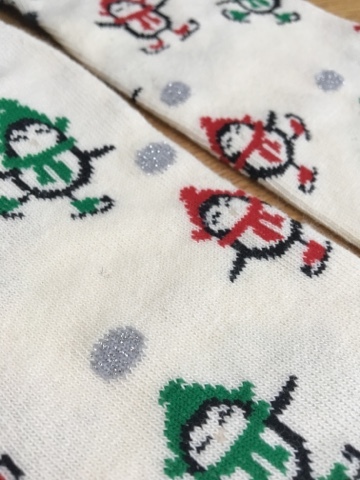 Their Christmas collections are absolutely adorable. 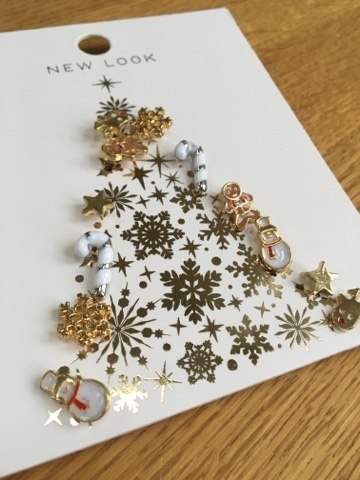 One set is definitely more Christmassy than the other featuring snowmen, gingerbread men, candy canes and Rudolph and it's just perfect for this time of year! 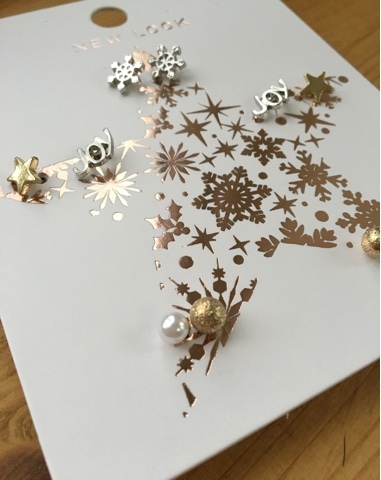 The other set is still very festive but also has some more simple star and gold ball designs that would make great accessories all year around! These accessories would make a really great and affordable stocking filler as well as being the perfect pre-Christmas treat for yourself! What are your favourite festive accessories?